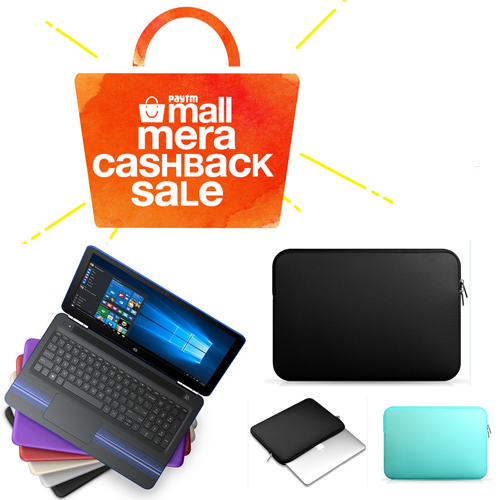 Paytm Mall is offering deals and discounts on laptops including Apple MacBook Air, Lenovo Ideapad 330, and more under its ongoing Maha Cashback sale. In addition, users can save up to Rs 20,000 on laptops by Apple, Asus, Lenovo, HP, and more. An additional cashback of 10 per cent can be availed on all products by people who purchase using ICICI Bank credit or debit card. Lenovo's Ideapad 330 (81DE012NIN) will be available at an effective price of Rs 44,460, down from Rs 64,090. A cashback of 10 per cent will further bring down the price of theÂ laptop to Rs 41,960. Ideapad 330 is powered by Intel's core i5 (8th generation) processor coupled with AMD's Radeon 530 (2GB) for graphics performance. It offers 2TB storage.